Devart ODBC drivers are verified to be compatible with leading analytics and reporting tools, various IDEs and programming languages. Get fast and secure access to your data in any application using our ODBC Drivers! 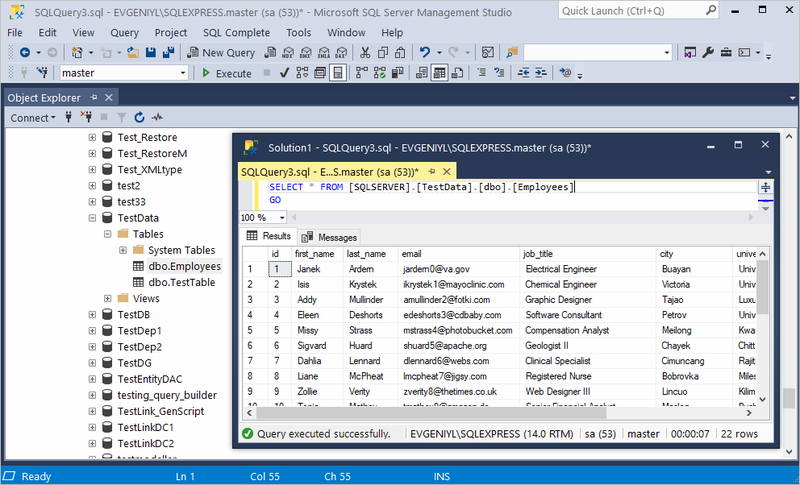 Using ODBC drivers in SQL Server Management Studio allows you to create an ODBC connection to any DBMS and Cloud data, export and import it to SSMS and manipulate it in an easy way. Thus, you can combine a feature-rich connectivity solution with a powerful integrated environment. 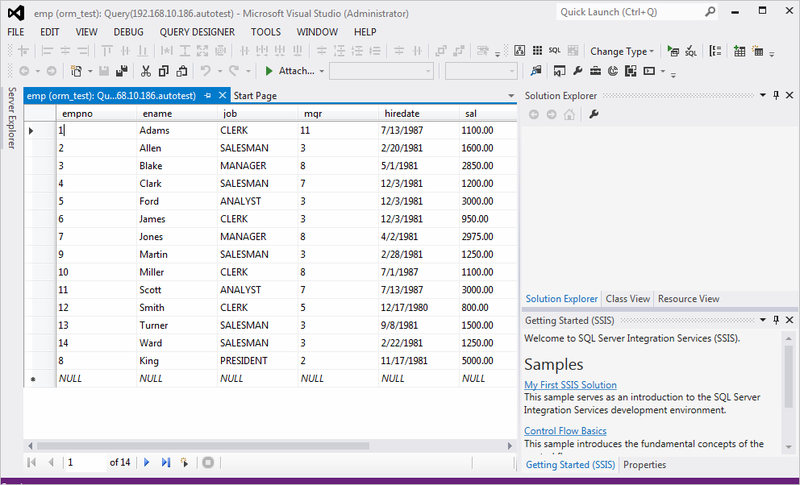 A free tool that covers all the stages of database development in Visual Studio. 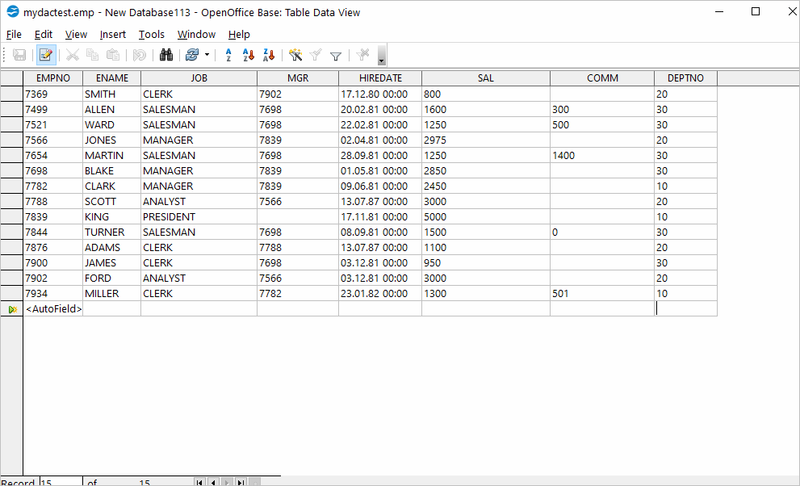 You can work with SQL Server database, as well as with an external one. To connect to your data source, just choose and use the corresponding ODBC driver. 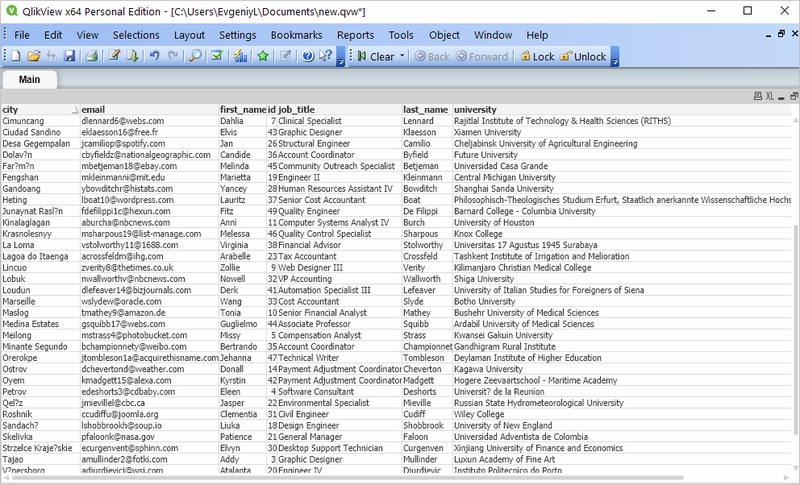 A set of tools, which serves for creating reports and allows gathering data from various data sources. To connect to them, you can use our ODBC drivers by configuring a connection in Report Builder manually or using a connection string. Microsoft Visual Studio is an IDE for designing, developing and debugging computer programs, web sites, web apps, web services and mobile apps using different programming languages and software development platforms. To establish a connection to your data source in Visual Studio via our ODBC drivers, use Server Explorer as a server management console and ADO.NET ODBC Provider as a data provider. Through Devart ODBC drivers and ODBC feature supported by VFP, users have a possibility to connect to popular databases and cloud resources. As a result, the database application development and deployment process get faster and simplier. 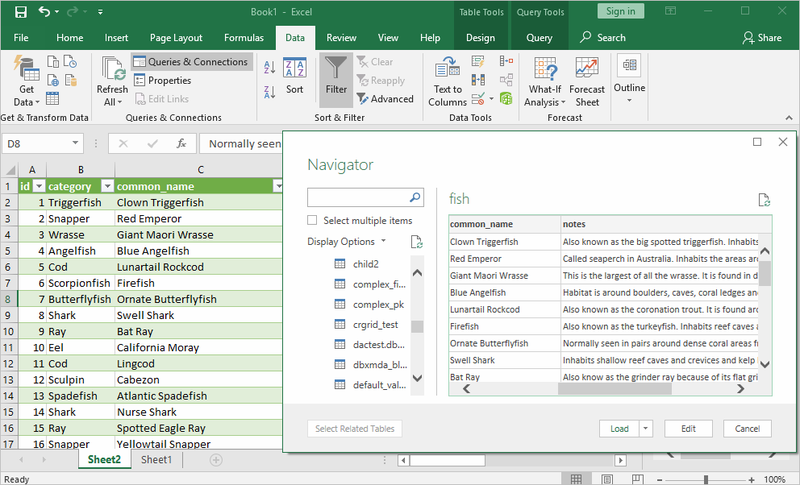 A popular suite of office applications, servers and services developed by Microsoft: Word, Excel, Access, PowerPoint, Outlook, SharePoint and others. To retrieve external data to these apps, you can use Devart ODBC drivers, which, for their part, contribute high-level interaction with databases and clouds. When developing cross-platform applications in Delphi and C++ using Embarcadero RAD Studio, you can work with data stored in popular databases and clouds. For this, you can use the following products - UniDAC, FireDAC, dbGo (ADO), BDE and dbExpress, which enable to connect via ODBC drivers. 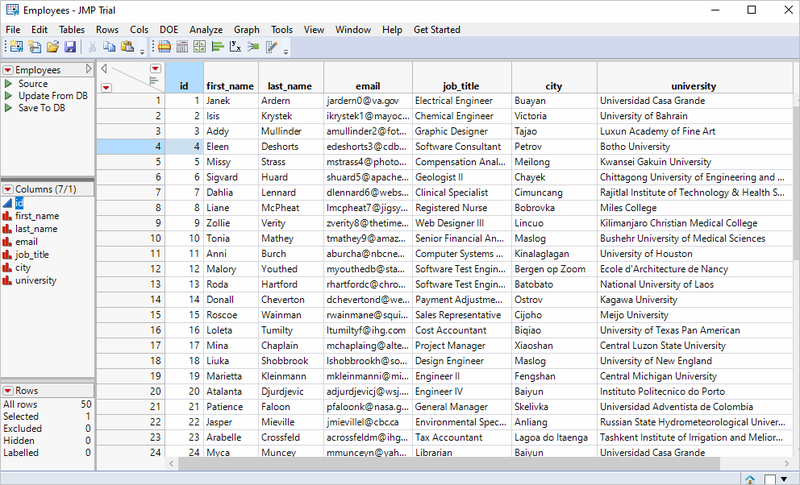 A universal database tool for managing and working with a wide range of databases and clouds. In order to get fast and unified access to your databases and clouds, you can use our ODBC drivers. A development platform for building web-based applications that allows you to connect to various databases during the development process. The interaction with external data sources can be established using our ODBC drivers for databases and clouds. 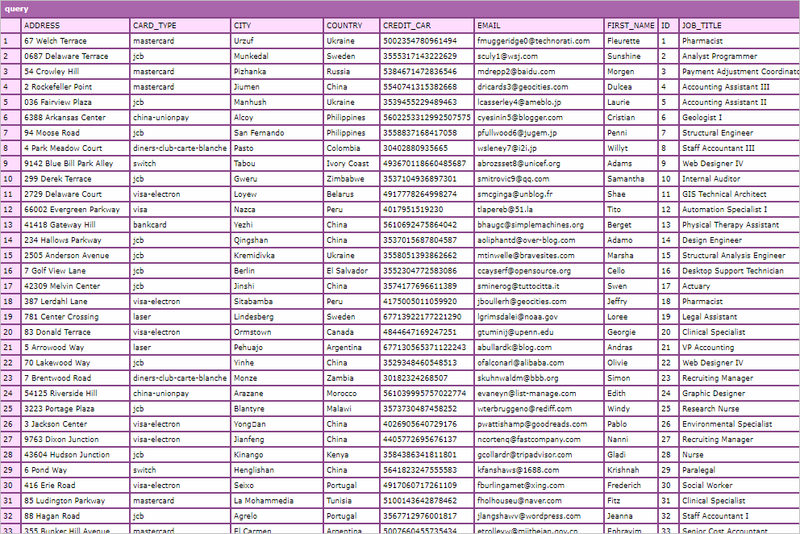 A free package of applications for office work. A convenient way of linking these apps to external data is to take advantage of Devart ODBC drivers, which provide direct access to your databases and clouds speeding up the deployment process. As an alternative to OpenOffice, LibreOffice also enables connections to data using the ODBC solution and our drivers. Before designing and creating reports, you should gather all the necessary data for this. 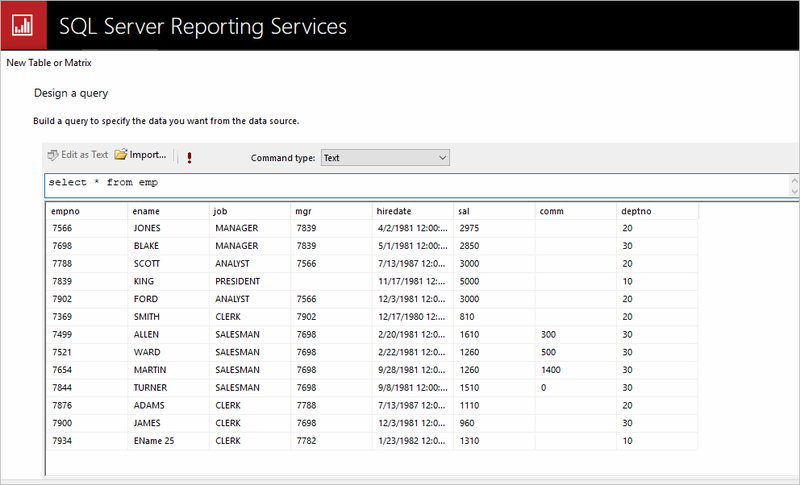 In Crystal Reports, you can create an ODBC connection using our ODBC drivers and extract the data you need from any relational data source or cloud. 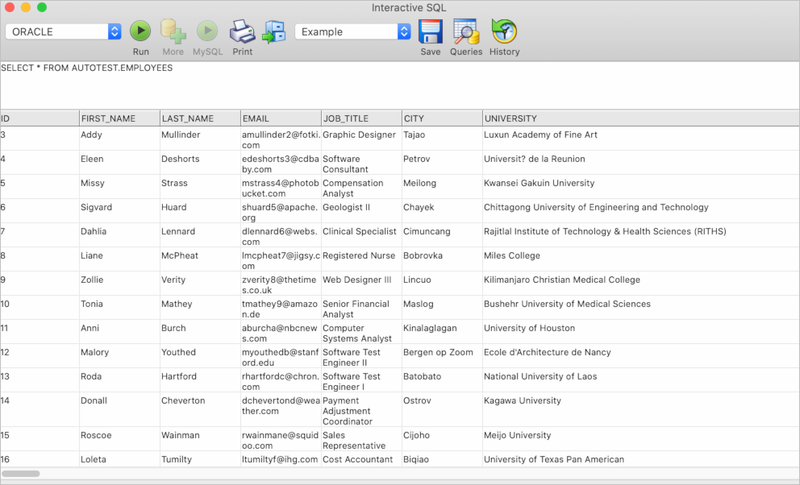 QlikView is a platform for analyzing and investigating data to make the right business decisions. 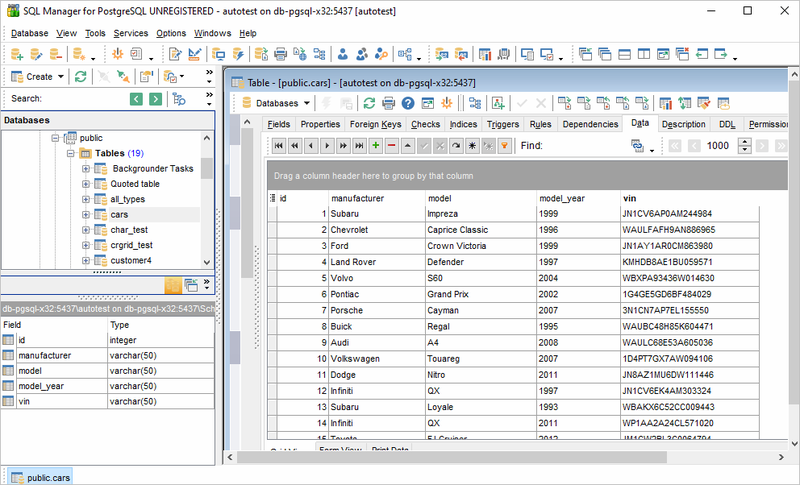 In QlikView, you may bring your data from different sources through ODBC interface and ODBC drivers. PHP is a server-side programming language used to develop ecommerce web applications, online shopping sites and CMS. Such projects usually require convenient data storage - a database or a cloud. 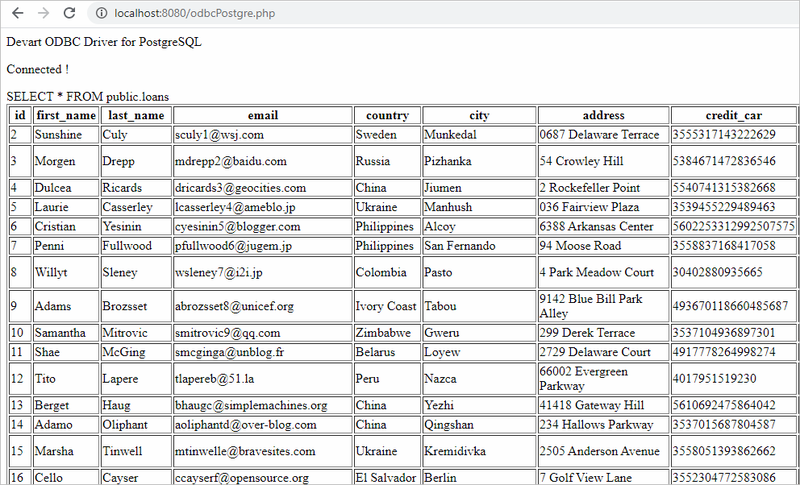 And, our ODBC drivers can become a perfect solution for connecting PHP applications with various data sources. 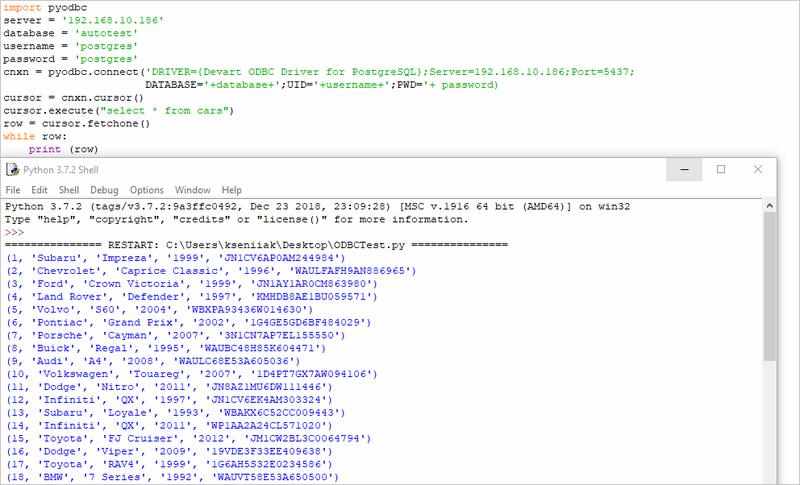 Due to Python's growing popularity in web development nowadays, there might be a demand for ODBC drivers connecting Python to ODBC compatible databases and clouds. Devart offers a wide range of ODBC drivers for direct access to your data from Windows, macOS, Linux, both 32-bit and 64-bit. Data analytics software that turns raw data into meaninful one. 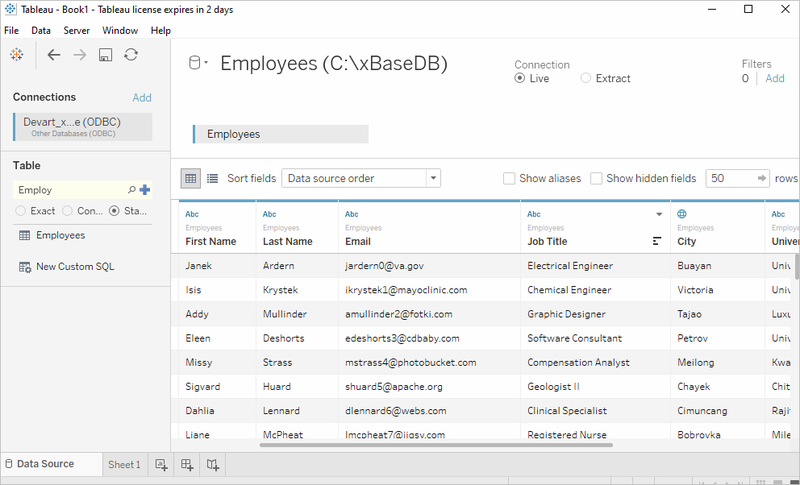 Tableau can combine data from multiple sources: spreadsheets, data warehouses, databases, clouds, etc. Data source connectivity can be implemented by ODBC drivers. 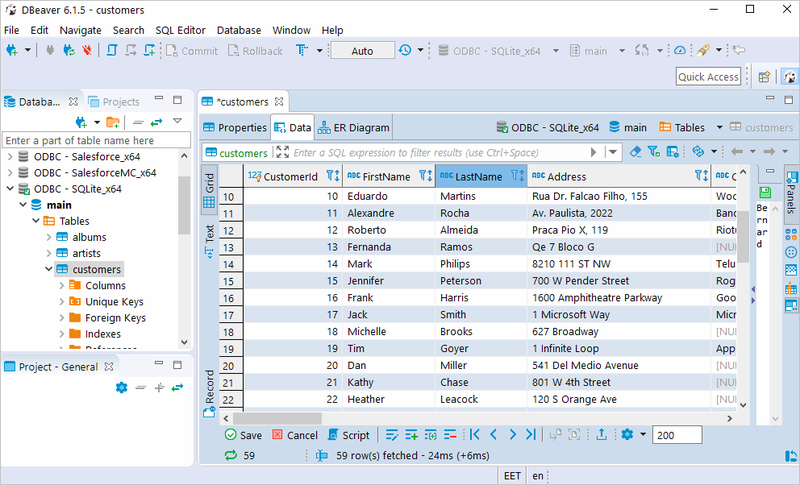 When developing SQL-based applications in PowerBASIC, with Devart ODBC drivers, you have the option to use any database or cloud for which a driver is available: PostgreSQL, SQL Server, SQL Lite, Salesforce, Dynamics CRM, Zoho CRM and others. 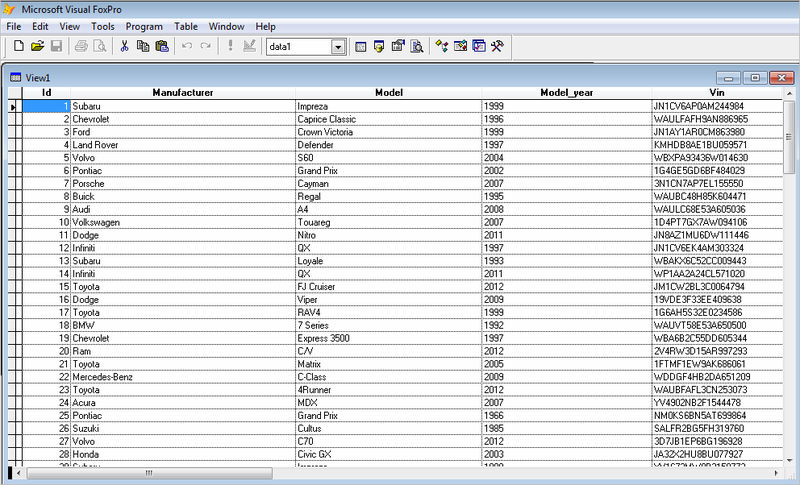 As statistical analysis software, JMP works with data. So it provides a variety of mechanisms for getting this data into. One of them is ODBC. 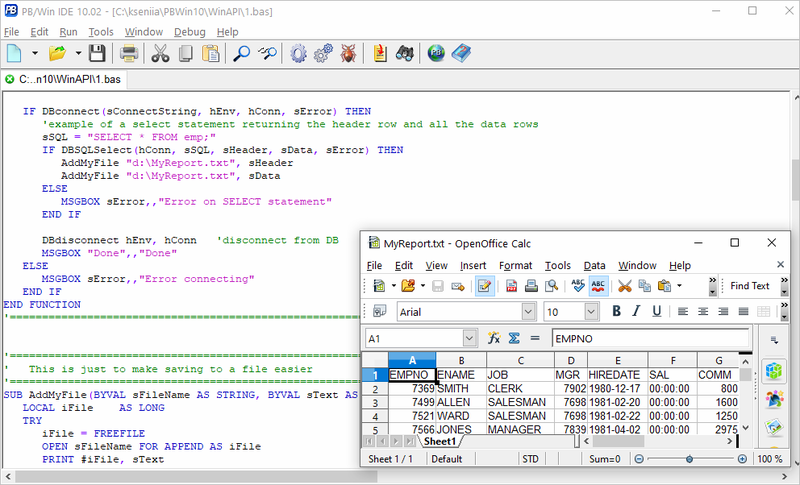 A connection to any database can be made from JMP using a proper ODBC driver. A tool for web and mobile application development with cross-database support. That means that the Studio maintains connections to multiple databases. With ODBC drivers, these connections become fast and convenient avoiding the use of any additional software. 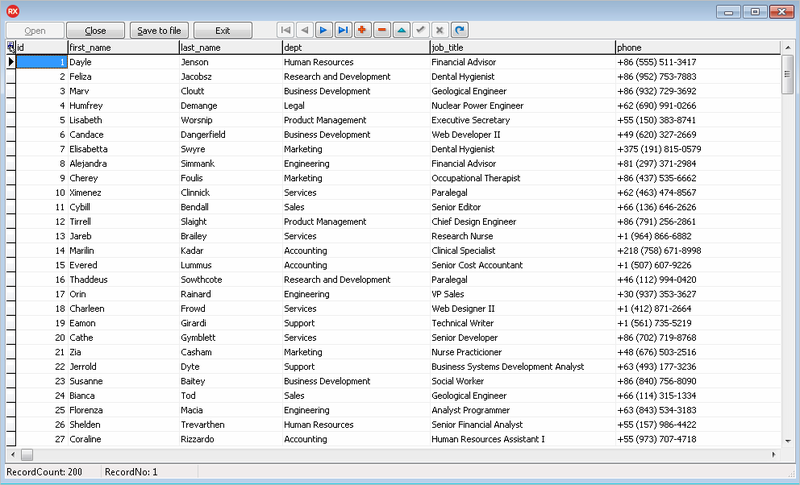 An SQL client and tool used for management activities of various databases. The best way to connect to popular databases and clouds is using Devart ODBC Drivers. Easy configuration, direct connection, fast and secure data retrieval - that's what you get with our products.